Championship predictions: Sheffield United to stay first? Ipswich to finally win at home? The top of the table of the EFL Championship has been packed with Sheffield United, West From, Leeds, Middlesbrough occupying the top 4 places. The battle for promotion will be epic this season as it is very likely that Nottingham Forest, Sheffield Wednesday, Brentford, Norwich and Derby County are joining the the group that fights for places in the playoffs. The Friday nights game in which Wednesday host Middlesbrough will answer many questions. One of them is will we see both Sheffield teams battling for promotion this season? Sheffield Wednesday are unbeaten at home but they have conceded to many goals at Hillsborough – 8 goals in just 6 games. The good news for the The Owls is that they have scored 10 goals in those games, but when you play against a team like Middlesbrough, you need to be very solid in the back. 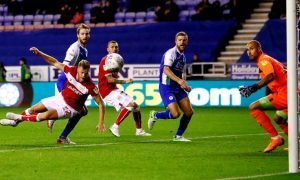 The Boro have scored 7 times in 6 games on the road so far this season and conceded only 4 goals. This says a lot about their capabilities of going forward without leaving too much spaces for their opponents. Wednesday have won 3 and lost 3 games at home against Boro since 2009, so if you want to place a bet, you don’t count the “tradition” here. The current form of both team and the way they play in this particular game would matter the most. Wednesday are in the good run at the moment and it is probably the best time of the season when they could host the Championship’s top sides. i’l go for a draw here, because both team have already drawn too many games this season and it looks like that despite that Wednesday are a strong side, it is still hard for them to win their home fixtures against the best in the league. Leeds are playing well despite that many of their best places are not available for selection. I watched United against Brentford and they have been very unlucky with the referee’s decision to award Brentford with a non-existing penalty. It was so nonexisting that even someone who has just been explained the rules of the game would be able to see it. The ref gave Brentford a penalty, instead of showing a yellow card to the player who faked. Still Leeds were able to come back into theme against a very good Brentford side. I think that they should continue wining games. This is not going to be a easy one however, as Blackburn have improved their form. However they have won most of the point so far this season on the road. At home they have won one, drawn 4 and lost 1 game, which is not a very good record as there are only 5 teams in the league who have done it worst them them at home. Kemar Roofe is back from injury for Leeds and he is a very important player for them. Aston Villa have got a new manager, who is expected to turn their season around and to get then back in contention for the playoffs. The Villans underperformed at home this season and having won 2 games, drawn 3 and lost one. They are also among the Championship teams who have conceded the most goals in their home games – 10 goals in 6 games. Dean Smith definitely needs to improve his teams defensive performance at home. Can he get a win in his first match with Aston Villa? Well, considering the form that Swansea is in, it wouldn’t be anything strange. Looking at a squad, Aston Villa has much more quality players and the fact that they play at home is another big advantage for them. Swansea City has an excellent defence, but it will be very hard for them to keep Aston Villa from scoring on Saturday. I don’t think that Swansea can get a win in this game, they can’t compete with teams like Aston Villa when it comes to scoring, but I believe that they will score at least one on Saturday. Both teams are playing very attractive football and both teams will go for a win in this one. Bristol City simply needs points and Thomas Frank will give his best to get a win in his first match as a Brentford manager. One very important fact when it comes to this match is that Brentford is still unbeaten at home, they’ve won 4 out of their 6 home matches so far and it will be very hard for Bristol City to stop them. I expect a lot of goals in this one. Neal Maupay has 10 goals and 3 assists and he looks unstoppable for Brentford at the moment. This is simply the best opportunity that either of these two clubs can get at a moment. The goal is simple – you have to win. Looking at their away record so far, this match will be much harder for Preston. In six away matches so far, they’ve managed to get only one point. 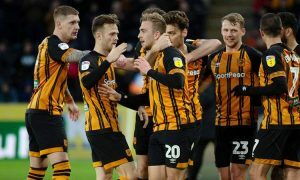 When it comes to Hull, they are struggling to score and their home performance wasn’t that bad in last few games. Although this will be a very tough match, I expect Hull to get all three points and move up from the last place. Another tough match will be played in Ipswich where QPR will try to continue their good form. Ipswich finally started to get points and I wouldn’t expect QPR to win this one. Although Ipswich is still waiting for their first win at home, in their last match against Swansea they showed team spirit and that win can potentially be a big boost for the team. I expect both teams to score in this one, but for me, Ipswich has more chance to get all three points on Saturday. These two teams are direct opponents. Nottingham Forest is excellent at home, while Norwich has been outstanding in away games this season. 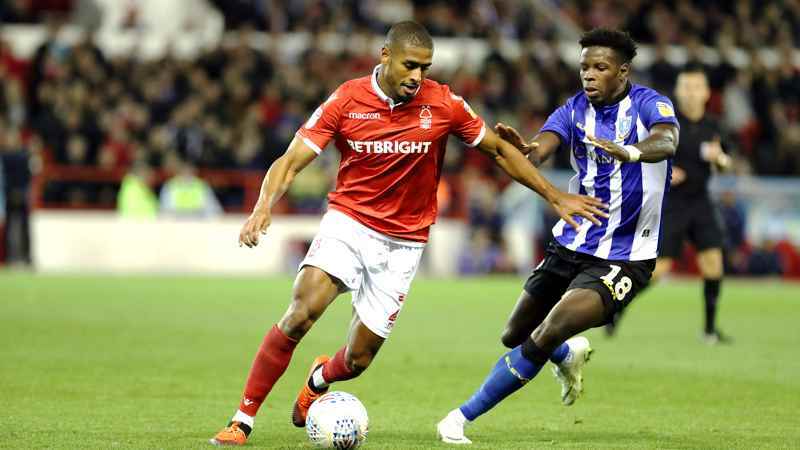 Nottingham Forest is unbeaten in their last six matches and they are still unbeaten at home this season, but I don’t expect them to win this one. As I said earlier, Norwich has been outstanding when it comes to an away performance, and it would be very surprising if they manage to lose on Saturday. For me, draw is the most likely outcome of this one and it would actually be a good result for both teams. Here is a great chance for Millwall to improve their away performance and get more confidence! 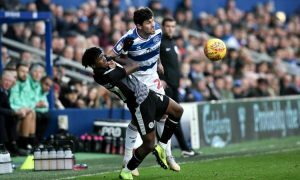 Reading lost five of their six home matches so far and they are the worst team in Championship when it comes to home performance. Although they are struggling to score, with a return of John Swift I expect them to find a back of the net against Millwall. However, I can’t see them getting a good result on Saturday, they are unorganized in defence and they are conceding far too many. Now, Rotherham is awful in away matches, but at home they are quite solid. Bolton on the other side is struggling to get a good result lately, so this will certainly be another tough match. Looking at their home performance so far, Rotherham managed to compete with some of the best teams in Championship this season, so they will try to gain more possession and create more chances. Bolton doesn’t play an attacking football, but they will certainly work hard to get a win in this one. However, for me, Bolton is having a better chance to get all three points on Saturday, but I expect them to do that with a minimal result. In my opinion, this will be one of the most exciting matches in this gameweek. Birmingham is still unbeaten in last 8 matches and their attack finally started working. 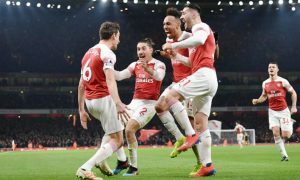 But another thing that finally started working is Stoke City, they have been winning at home and away so they will certainly work hard to win this one and get closer to the top. I believe that both teams will score in this one as both teams will work hard to get a win. However, although Stoke are favorites and they play, I expect Birmingham to score more goals and win this one. WBA has certainly been the most exciting team to watch in Championship this season, but can they continue their success against one of the best sides when it comes to home performance? If the question was “are they going to stay unbeaten?” I would certainly say yes, but I don’t think that they can score as many as they usually do against Wigan. 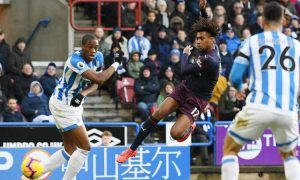 Wigan is not very defensive side, but at home they are a very tough opponent, they work hard and they are capable to compete with any team. Although WBA is by far the best team in Championship when you look at the squad, I expect them to split points with Wigan on Saturday. Is Sheffield United going to stay first? Well, we all know that Derby County is a very tough opponent, but lately they have been struggling to get a good result. Sheffield United is always going for the win, so the fact that they will certainly not try to get away with a point and defend is promising us a very exciting match. I expect both teams to score in this one, Derby County is excellent in attack and so is Sheffield United. I expect the last match in this game week to finish with Sheffield United keeping the first place.